Mountain View’s Castro Street has a constantly changing wealth of dining options, ranging from Chinese bakeries to family-style pizzerias. For the enterprising theatregoer, one of the street’s best options is New Mongolian BBQ, which combines delicious food, a low wait time, and a reasonable price. Evidence of its quality can be seen in its longevity: It has been operating since 1973 on Mountain View’s Castro Street, one of the Peninsula’s most volatile shopping districts. New Mongolian BBQ uses an all-you-can-eat system ($12 for a meal, weekday lunches $10) where you choose a variety of meat, noodles, vegetables, and sauces and give them to the chef, who will cook them to perfection on a gigantic open grill. You can go back as many times as you like or partake in unlimited vegetable egg rolls and soft serve ice cream. Because the ingredients are high quality, the fact that you can get your food quickly doesn’t influence how good it tastes. The restaurant’s selection is wide enough to appeal to those with specific tastes, but provides guidance for the indecisive. This policy can be seen most clearly in the variety of ten sauces: There is a written guide with several standard combinations for the new restaurant goer, but nothing stops you from putting three ladles of sweet-and-sour and two ladles of chili sauce on your noodles. Garlic lovers like me will be pleased by the garlic powder you can add on your dish after it cooks. This freedom of choice gives vegetarians and vegans a surprising number of options for what is ostensibly a barbecue. There are a number of seasonal fruits and vegetables, including unusual options like pineapple and water chestnuts alongside tofu, onions, and mushrooms. My personal favorite is the little baby corn, which adds a sweet crunch to meat dishes and acts as the star of the show in vegetable ones. Though the meat is excellent, there are many ways to create a non-meat dish that is just as satisfying. 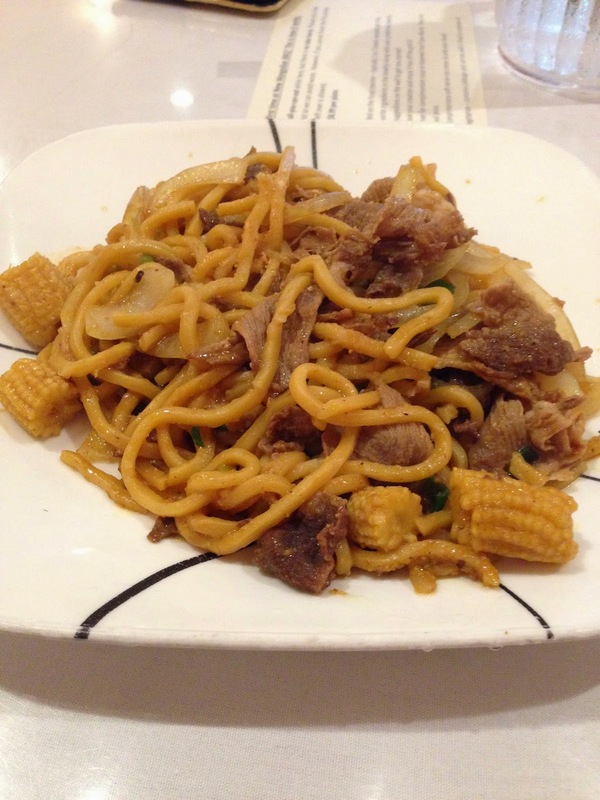 In some ways, New Mongolian BBQ is the ideal restaurant for theatregoers, providing sit-down restaurant quality at fast-food speed. With delicious food, a delightful service staff, and proximity to multiple parking lots, it’s hard to go wrong when choosing this place.